Of the three doshas in Ayurveda, pitta is the biological fire (bile) humor and ‘that which digests things.’ It is responsible for all the chemical and metabolic transformations in the body. As well, it governs our mental digestion, meaning our capacity to perceive and understand reality. 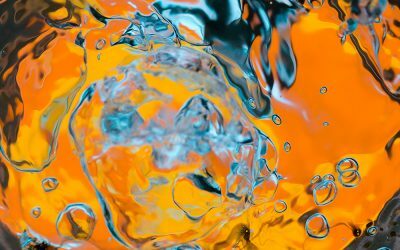 The main attributes are: oily, hot, light, intense, fluid, malodorous, and liquid. As a result of their innate fiery nature, the pitta person is blessed with determination, a strong will and good digestion. They are adept at taking charge of their lives, their health, and their work. Physically, the pitta body type is typically medium in height, weight, and endurance. Their skin is fair, burns easily, and often has freckles and moles. Their hair tends to be straight and light (red hair is a sure sign of strong influence). A diet rich in spicy food, and excessive sun exposure aggravates pitta as they tend to overheat easily. They love to eat, perhaps to satiate their strong digestive fire. They have a tendency to be impatient. They usually sleep well, but often become restless and consumed by factors such as work, relationships, and other aspects of life. Intense emotions and a highly competitive nature are signs of strong pitta influence. Heat is the primary defining characteristic and the energy that ignites transformation and action. This heat manifests in various ways, as shown in the following physical, mental, and emotional characteristics. Average frame with well-proportioned limbs and extremities (hands, fingers, feet, and toes). Muscles are of medium size, well-toned, and balanced. Weight is reflective of an efficient metabolism, regardless of diet. They gain and lose weight easily and extra weight is evenly dispersed throughout the body. Skin is light, freckled, pink, and warm, with a tendency to burn rather than tan, which may account for early onset wrinkles. Blemishes such as acne, rashes, and moles are common, as are an abundance of freckles. Head is a moderate size with well-defined facial features, often with a square chin. Facial characteristics are unremarkable, tending to be of average size. Lips and gums are usually pink- or red-toned, and the gums tend to bleed easily. Eyes are medium sized and slender, with a tendency toward redness and inflammation. Commonly hazel, green, light blue, or electric blue. Tongue is an average size though may be sharp or pointed. When Ama (toxic build-up) is present a yellow or green coating appears on the surface, which may account for the presence of a sour tasting mouth in the morning. Hair is generally soft, fine, oily, usually straight, and red, blonde, or light-colored. Early graying, a receding hairline, and balding are common. Nails are medium in size, soft, pink, and have a somewhat rubbery texture. Sweat often smells unpleasant and may be profuse. Pulse is full and strong with a regular speed and rhythm felt strongest under the middle finger. A person with a pure constitution may have an erratic, jumpy pulse. Arteries are warm and soft, indicating good circulation. Pittas often have a voracious and insatiable appetite. Like vatas, they tend to devour their food but, unlike vata, their bellies keep pace with their appetites. They may become irritable and aggressive when hungry. They prefer cold, heavy food, including raw fruits and vegetables, in their pitta diet. Owing to their strong digestive fire, those with a strong pitta influence can digest just about anything. In excess, however, it can speed up digestion, causing food to move too quickly through the digestive tract and inhibiting the proper absorption of healthy nutrients. An increase in the liquid aspect of pitta will extinguish the digestive fire, resulting in indigestion and toxic build-up. People with this strong constitution generally have good energy levels. In excess, however, they will become exhausted quickly. Their gait is quick and usually driven by a destination, and they enjoy hard exercise, as long as it doesn’t cause them to overheat. They also tend to be over-competitive and impulsive in their actions. These people usually sleep well. Their dreams are passionate and intense, and they usually feature as an active, dominant subject. They often dream about business and making money too. They usually wake feeling rested and refreshed. Experiencing discomfort in hot, humid weather is a strong sign of this dosha. With a preference for cool, dry, or even cold weather, especially a dry winter day, they enjoy relaxing and cooling off by lakes and rivers. Their voice is clear, strong, and of medium pitch, and it often carries a tone of irritation. Speech quality is usually clear and concise with an intense style that is often loud, dominating, to the point, and seemingly quick to anger. They tend to talk at–rather than with–a person. Pitta types accomplish their work at a moderate speed and successfully meet deadlines. They are practical in nature and good in business. Although strong-willed, they possess a sense of fairness. When it comes to money, this group have moderate and practical spending habits. They’re comfortable but rarely impulsive buyers. Organized and practical describe the pitta-dominant person well. They approach situations pragmatically, tending to make or break habits according to their usefulness. When receiving treatments or advice, they are initially critical and inflexible; however, once they understand the facts and courses of action, they will implement positive changes for their health. Because of their passionate nature, pittas usually have strong sexual desire. They know what they want and are able to make it happen. Their desires are balanced by a feeling of fulfillment, meaning they’re realistic in their sexual cravings and expectations. Both men and women are moderately fertile. Women usually have regular menstrual cycles but may bleed for longer periods and more heavily than other doshas. The pitta mind is forceful and intelligent. They know what they want and are determined to act upon it. 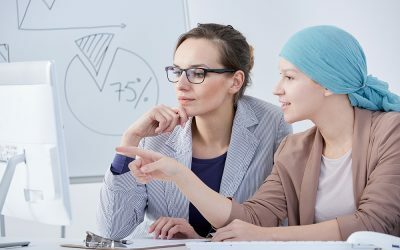 Willpower and courage are strong personality characteristics, though they can be egotistical and domineering in work and social situations–including family. As we’ve learned, pittas are intense and quick-tempered, but they make good, just leaders. In a group setting, they will always try to assume control of any situation, and they usually succeed if they are the strongest one in the group. 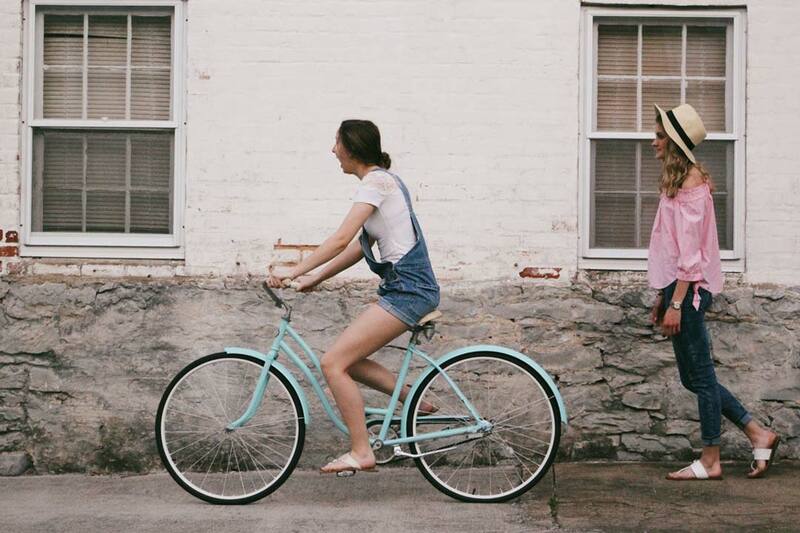 They make friends easily, but quite often those friendships are based upon their usefulness. They don’t tolerate ignorance and are impatient with those who do not understand or follow their ideas. 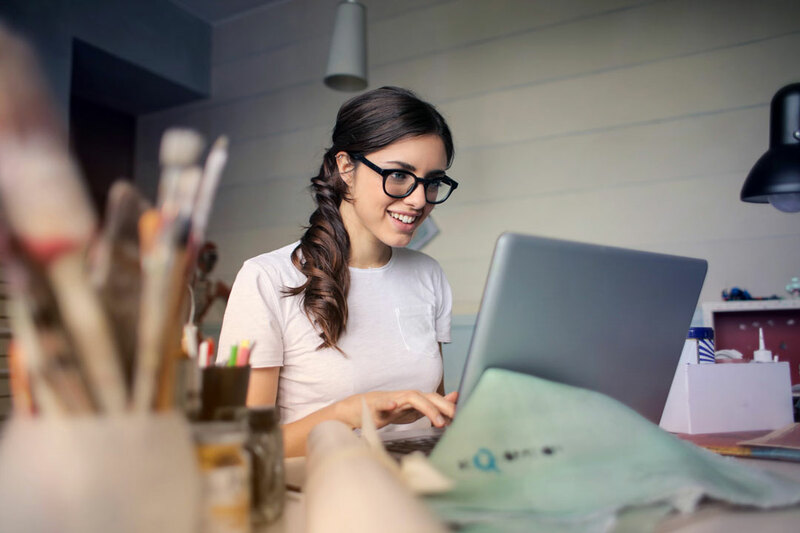 Pitta types have several positive personality traits, including: Intelligence, confidence, creativity, joyousness, sweetness, strength, forcefulness, patience, fairness, courageousness, exuberance, self-confidence, and a strong leadership ability. They are also ambitious, methodical, efficient, adaptable, pleasant, clear-minded, energetic, fiery, and friendly. On the negative end of the spectrum, pittas can be domineering, easily angered, resentful, hostile, self-critical, irritable, impatient, and hot-tempered. They are easily frustrated, often tyrannical, critical of others, intolerant of delays, hurtful, impetuous, and argumentative. Pittas value self-development, although this can manifest as egocentrism and a need to feel superior, rather than general self-improvement. When on a true spiritual path, however, they have the courage and determination to persevere. As with the other doshas, a change in diet can naturally reduce excess pitta and immediately improve physical and mental states. Several common foods are pacifying, meaning they help to alleviate the effects of an imbalance. The best pitta foods offer sweet, bitter, and astringent flavours. They are aggravated most by foods that are pungent, sour, and salty. 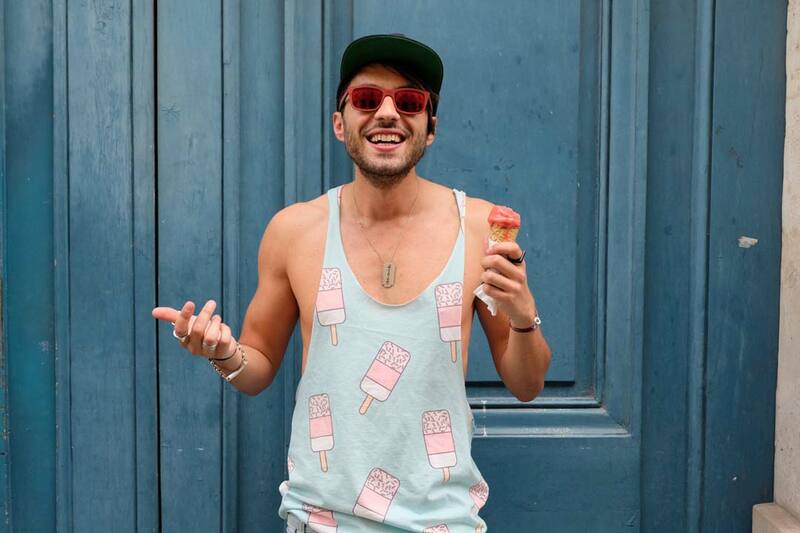 Cool, refreshing, and sweet foods are ideal in the pitta diet. They should indulge in frozen foods and drinks, and raw foods–especially melons and oranges–to moderate internal heat. They are wise to avoid eating spicy and salty foods or skipping meals. Ayurveda demonstrates how we can mitigate disturbances and imbalances of the doshas through our diet and lifestyle, and with specific herbal remedies. Consider these food guidelines to maintain a healthy, balanced level of pitta. Fruits Sweet fruits, such as apples, berries, coconut, dates, melons, oranges, etc. Sour fruits, such as apples, bananas, cherries, grapefruit, green grapes, etc. Vegetables Sweet and bitter vegetables: squash, broccoli, brussels sprouts, cauliflower, celery, cabbage, cucumber, etc. Pungent vegetables: beets, carrots, radish, garlic, onions, peppers, tomatoes, etc. Grains Barley, cooked oats, basmati rice, white rice, rice cakes, wheat, wheat bran, etc. Dry oats, oat bran, buckwheat, corn, oat granola, brown rice, rye, etc. Nuts Avoid most nuts, especially cashews, walnuts, peanuts, pecans pistachios, pine nuts, and macadamias, etc. Spices Cooling spices, such as coriander, dill, mint, fennel, etc. Heating spices such as cayenne, cloves, garlic, ginger, paprika, onion, mustard seeds, etc. Dairy Ghee, milk (cow and goat), ice-cream Cheeses, sour cream, yoghurt, etc. Beverages Cooling juices and teas, such as apple juice, aloe vera juice, coconut milk, cool dairy drinks, soya milk, cooling teas, etc. Alcohol, banana shake, coffee, carbonated drinks, sour juices and teas, pungent teas, carrot-ginger juices, highly salted drinks, tomato juice, etc. Herbs that have calming and cooling effect, and that decrease inflammation and support healthy joint function can help to reduce and balance this dosha. Used individually or in specially-prepared formulas, a number of Ayurvedic herbs can help correct a pitta imbalance. 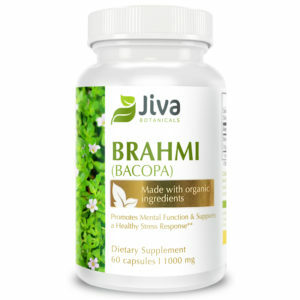 Brahmi helps to calm the mind and reduce stress and anxiety. It’s also a natural blood purifier and helps support clear, healthy skin. 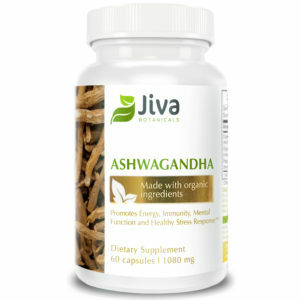 Ashwaghanda is a general adaptive for combating stress, calming the mind, and promoting a restful sleep. Triphala helps to promote good digestion, reduce stress, decrease inflammation and calm aggravated Pitta. Shankhapushpi calms the mind and supports emotional stability. Guduchi (Tinospora cordifolia), though a heating herb, it also acts as a natural detoxifier, purifying the liver, kidneys, joints, and blood and removing excess pitta from the body. Manjistha (Rubia cordifolia) cools and detoxifies the blood, promotes healthy skin, and supports kidney and liver functioning. 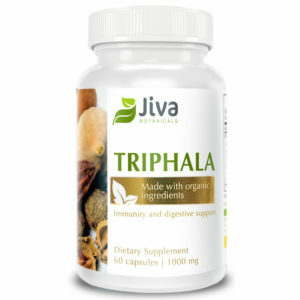 Triphala promotes and enhances digestion and removes excess pitta. Amla (Amalaki) cools the GI tract, cleanses the colon, and eliminates excess toxins and heat. Shatavari cools the body, and rejuvenates and nourishes the tissues. Neem purifies the blood, cleanses the liver, and supports the immune system. Bhumyamalaki has a cooling, soothing, and cleansing effect on the liver. 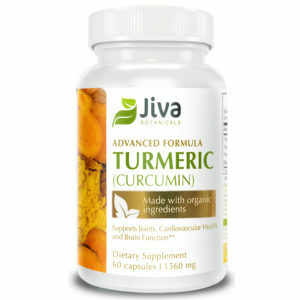 Several Ayurvedic herbs, such as turmeric, guduchi and burdock root decrease inflammation and support healthy joints. Other herbs, such as boswellia and guggulu are also useful in detoxifing, lubricating and soothing the joints, and supporting healthy joint circulation. Some common household spices, such as coriander, dill, and mint can help to reduce pitta. Other spices like cardamom, fennel and cumin support healthy digestion without causing aggravation. They can be easily included in the pitta diet. In today’s hectic world, pitta can get aggravated quite quickly, particularly if it is the dominant dosha in a person. Paying close attention to mental and emotional states at any given time, and slowing down when necessary is vital to maintaining a balance. Ayurveda offers several practices to help achieve a healthy constitution. Like Vata, keeping a regular sleep schedule and daily routine, especially regarding meal times and work is of paramount importance. (If you want to know more about Jiva Botanicals head back to the homepage). Although pittas are capable of getting things done, taking on too much can quickly cause disarray and potential disaster. They should be mindful of their limitations and avoid overextending themselves. 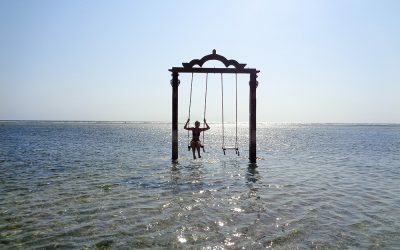 Work should be balanced with ample down time for play and relaxation. Pittas have a natural urge to be active and are usually enthusiastic about exercise and fitness. They are wise to avoid exercise that is too intense or causes overheating, such as midday workouts. Integrating a cool-down aspect into any fitness regimen and following a more moderate exercise routine will provide better balance for pitta. Activities like yoga, swimming or biking are better choices than intense activities like CrossFit. Regular massages are also a great idea. These people need to be constantly aware of their proclivity towards anger, and avoid situations that may cause them to lose their temper. Keeping cool, both in body and mind, and seeking calm environments via soothing music, sounds, and smells, and pleasant company lend to a healthy, balanced lifestyle. Pitta provides the fuel that can lead us toward greatness, but a good day can quickly turn sour when it elevates and erupts. Preventing aggravation is something of which we all need to be mindful, especially the pitta-dominant person. Paying particular attention to diet, emphasizing sweet, bitter, and astringent tastes, and avoiding foods that are overly hot and spicy foster a healthy pitta diet. Staying cool on a hot day, creating time for relaxation, and avoiding stress keep pitta balanced and well-managed. For more information on the different dosha’s and ayurveda head to jivabotanicals.com/what-is-ayurveda/. We must ever seek greater life, light, and love because this is the nature of the universe itself. – David Frawley, author of Ayurvedic Healing: A Comprehensive Guide.